Applying for a mortgage can be a daunting experience. It’s lengthy, time consuming, and over all can be quite confusing. But, potential buyers benefit in several ways by consulting with a lender and obtaining a pre-approval letter prior to shopping for a home. 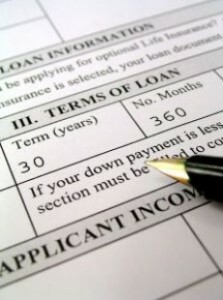 While a mortgage pre-qualification can be useful as an estimate of how much you can afford to spend on your Indianapolis, IN home, a pre-approval is much more valuable because this means the lender has actually checked your credit and verified your documentation to approve a specific loan amount (usually for a particular time period such as 90 days). Below is a list of five things that you will need to have ready for your Indianapolis, IN mortgage lender in order to receive your pre-approval. Proof of Income: You will need two years worth of pay stubs or W2 statements to prove your income. Any additional income must be verified too. Proof of Assets: You will need to present bank statements and investment account statements to prove that you have funds for the down payment and closing costs, as well as cash reserves. Good credit: Most lenders today reserve the lowest interest rates for customers with a credit score of 740 or above. Below that, borrowers may have to pay a little more in interest or pay additional discount points to lower the rate. Employment verification: Your lender will not only want to see your pay stubs, but is also likely to call your employer to verify that you are still employed and to check on your salary. Documentation: Your lender will need to copy your driver’s license and will need your Social Security number and your signature allowing the lender to pull a credit report. As a Indianapolis, IN real estate agents, we can connect you with mortgage professionals, should you need a recommendation. Please contact an Indianapolis, IN real estate agent when you decide to start your home search.